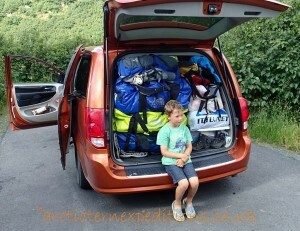 Hiring a car big enough for all of us was not a problem for Valdez U drive (the only car hire firm in Valdez!) and it was Orange! 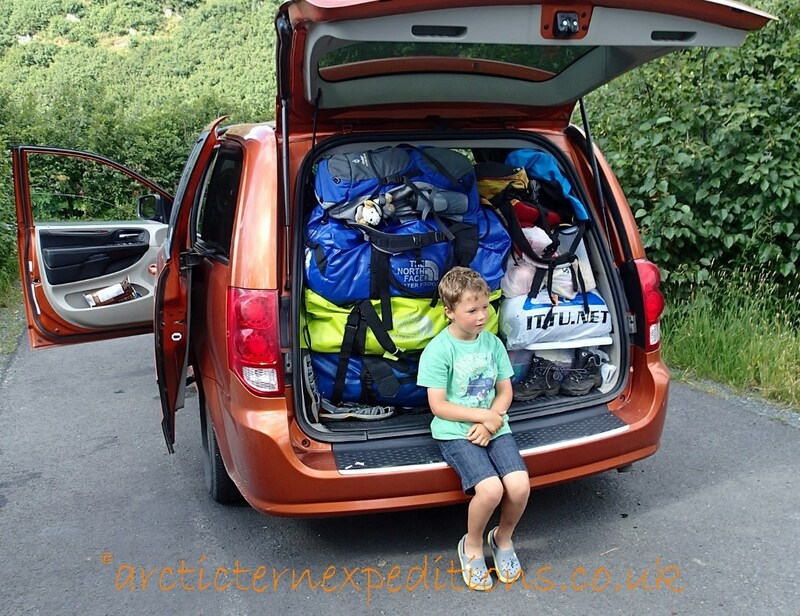 Loading up with tents, walking boots, sleeping bags and food for a road trip, hoping to reach Denali’s park and see the mighty peak and then dropping off Greg and his family in Anchorage, camping along the way, hiking and exploring. 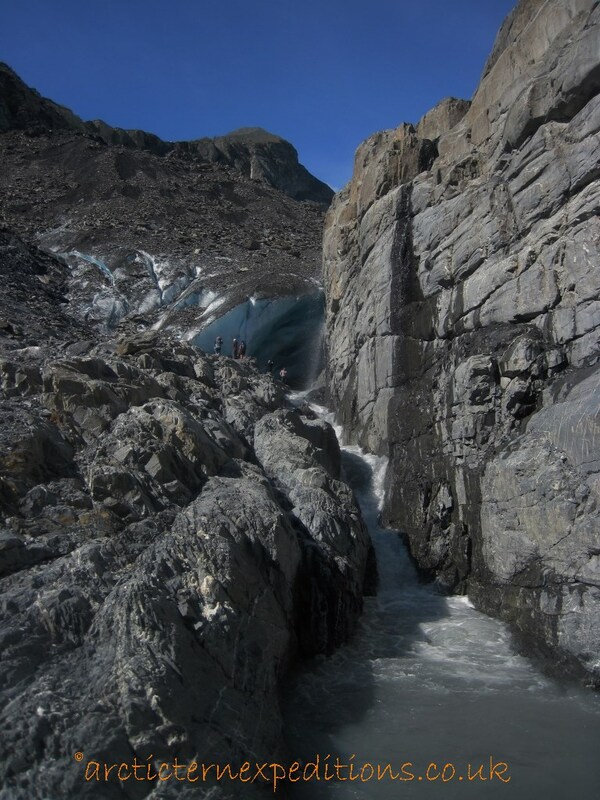 Out of Valdez we stopped to watch the local bears fishing in a salmon river, then on to the Richardson Hwy stopping at Horseshoe Falls and Bridal Veil Falls in Keystone Canyon , the gateway to the Alaskan interior. 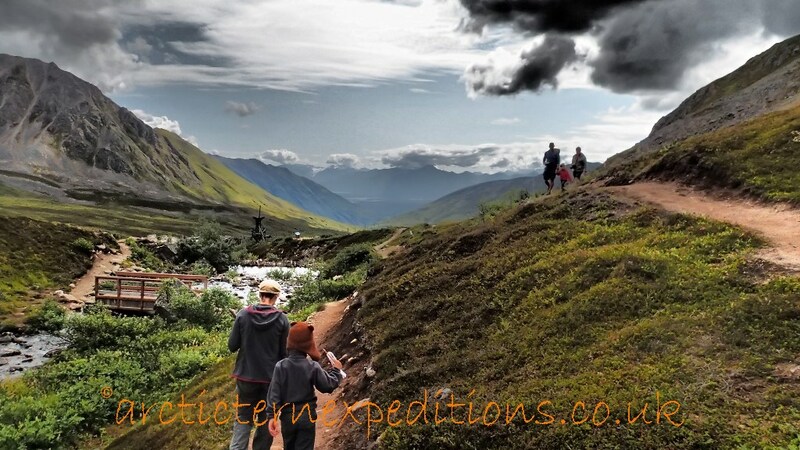 We stretched our legs on Goat Trail, originally an Alaskan Native trail improved by the US army during the Gold Rush to bypass the impassable Valdez Glacier. 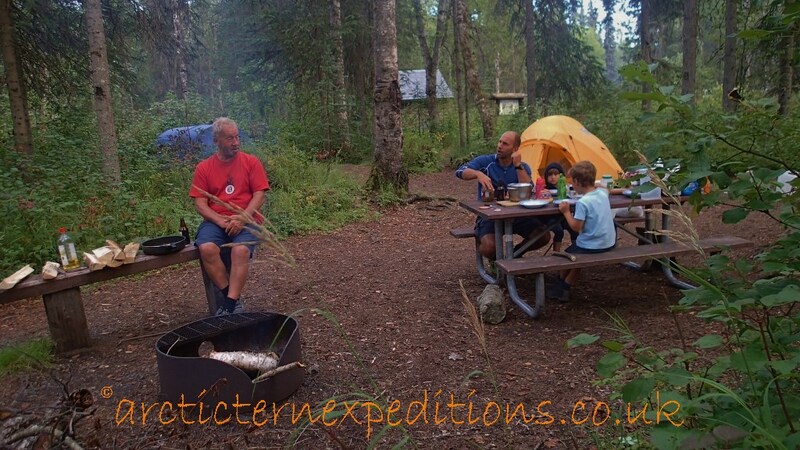 Our first night was at Blueberry Lake state recreation site, after pitching our tents we gathered fire wood and soon had a roaring blaze and dinner cooking, surrounded by snow-capped peaks, it could not get any better. Next day we drove over the Thompson Pass 2678ft, visiting the snout of Worthington Glacier and then we ridge hiked up the moraine to a wonderful panorama. 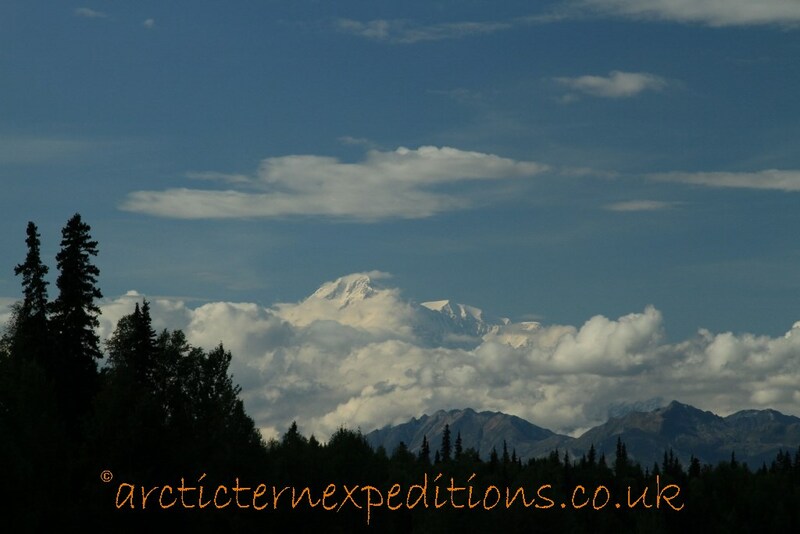 Later in the distance to the south east we were also treated to views of the vast wilderness of Wrangell-St Elias National Park as we drove along. Leaving the Richardson Highway to join the Glen Highway pit stopping at Glennallen, crossing Eureka summit and cruising past the Matanuska Glacier. We pushed on to camp at King Mountain state Recreation site as all others were full! 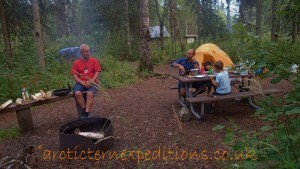 Camping or should we say RVing is big in Alaska. 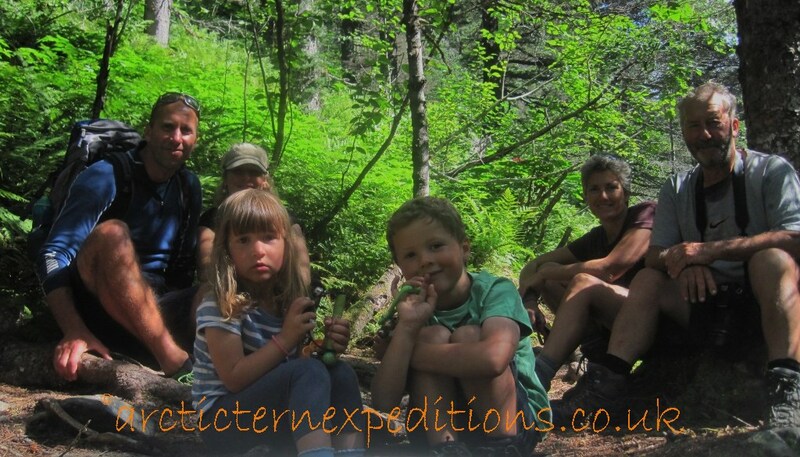 Our site was on the banks of Mantanuska river with excellent views of King Mountain surrounded by huge trees . Early morning rain discouraged a camping breakfast so we packed up and ate out in Jonesville! Moving on to George Parks Hwy via Hatcher pass, we visited the “Independent State Historical Park” an old Goldmine. 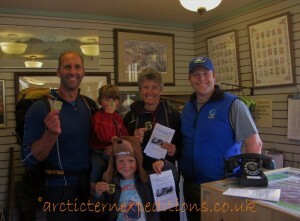 We did the tour and junior ranger badges were awarded to the children! 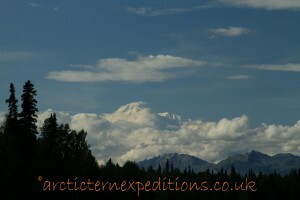 As we approached the Denali viewpoint south the peak was visible, we stopped for the only photo opportunity we were get! 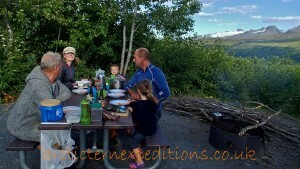 We decided that Denali State Park was far enough for us, so we camped at Byers Lake Campground for a couple of days enjoying the area, hiking and exploring. It was time to turn back, the rain the following morning confirmed it, packing up camp to breakfast at Mt McKinley View Lodge for the best breakfast yet. The weather didn’t improve so a general vote for a hotel carried. Palmer was our stop for the night, everyone enjoying showers, baths, carpet! Not to mention very comfortable beds for the night in a local Motel. On our way to Anchorage, back on the Glen Hwy we detour for a visit at Eagle River Nature Centre, enjoying our last trail together before hitting the big smoke! We left Greg, Heidi, Ieuan and Bethan to fly home the following day in Anchorage, we then headed back onto the Glen Hwy retracing our tracks to Valdez. 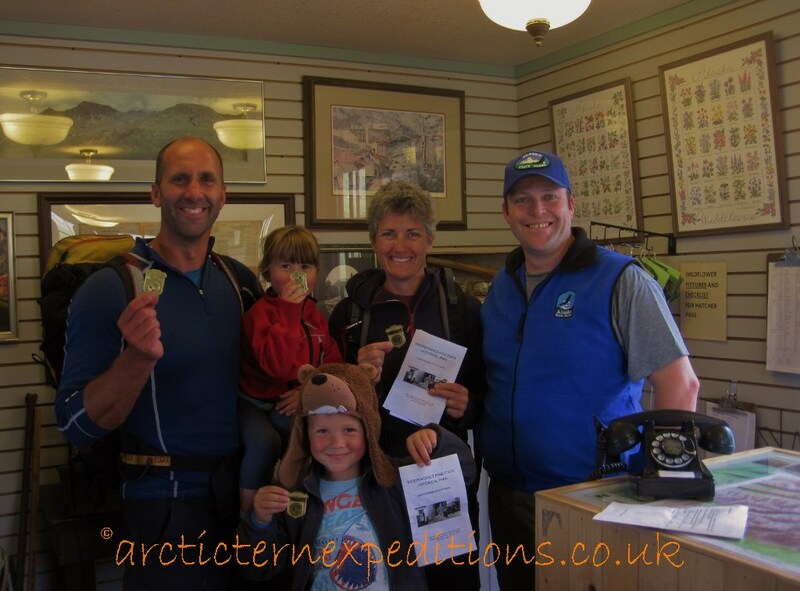 We had a great time with Greg, Heidi and the children an excuse to give us the chance to also enjoy the interior of Alaska not just the coast. Back on board Arctic Tern it was empty and quiet, we prepared her for sea, provisioning her before we cast our lines to leave Prince William Sound and head for South East Alaska. Previous PostSeward to ValdezNext PostValdez AK, USA to Vancouver BC, Canada.